A very serious issue in banking has arisen that bears watching. Our model has been warning is that the bankers are losing control of government and are now becoming their target. While the likelihood of this new legislation coming out of the Senate and over the House may not be so great, nonetheless, this bill illustrates just how desperate the search for money has become. Politicians are the worst enemy of the people for never do they look at their impact upon society and the future. It is always about them and the immediate need – never long-term. This is the first time in modern history where Capitol Hill has produced powerful members of Congress whom are looking at taking on the Federal Reserve and its member banks. The banking industry is scrambling to kill a provision in the Senate highway funding bill that would reap billions of dollars in revenue by cutting a century old system of loopholes for banks. Banking industry lobbyists say that they were blindsided by the sneaking inclusion of the provision that would cost banks dearly. This would help policymakers cover the highway bill’s cost by cutting the regular dividends the Federal Reserve pays to its member banks. Actually, when banks join the Federal Reserve system, they are required by law to buy stock in the central bank equal to 6% of their assets. However, this stock does not appreciate in value for it is non-tradeable on the market. 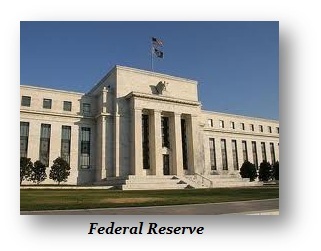 The Fed pays out a 6% dividend payment so the banks earn 6% income of 6% of its assets. That is pretty good money right now. This latest Senate proposal claims it will save $17 billion by slashing what now appears to be an “overly generous” payout. This may not even be legal given the Federal Reserve Act of 1913 and the mandatory nature that banks must but stock in the Fed that they cannot sell. Since this is limited to banks with more than $1 billion in assets, the proponents argue that this will only impact “large banks”. Obviously, Congress is in a deflationary mode, always looking to raise taxes. The banks are gradually in decline as being exempt from everything. The lawmakers are constantly in search of politically palatable ways to raise taxes or cut costs to cover the expenses of additional legislation.